Cylinder Outdoor Wall Light Up / Down Brushed Aluminum Modern outdoor exterior light in brushed aluminum finish. This outside light fixture takes two 35-watt GU10 base MR16 light bulbs (not included). Rated for dry, damp, and wet locations. 120 volts line voltage. ETL and CETL certified. 7 in x 4.5 in x 3.38 in. 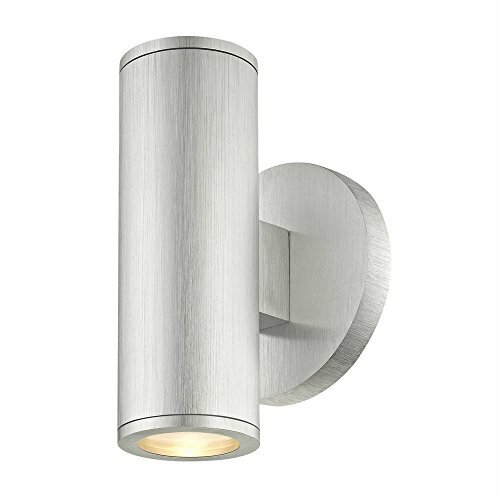 Design Classics Cylinder Outdoor Wall Light Up / Down Brushed Aluminum - Fixture - 7 in X 4.5 in X 3.38 In. If you have any questions about this product by Design Classics, contact us by completing and submitting the form below. If you are looking for a specif part number, please include it with your message.